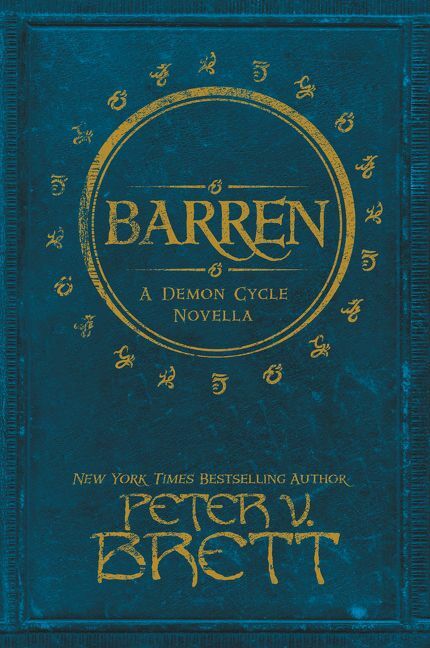 The adventures of the Demon Cycles series continues with a new novella by Peter V. Brett called Barren. Click here to check out our full review. 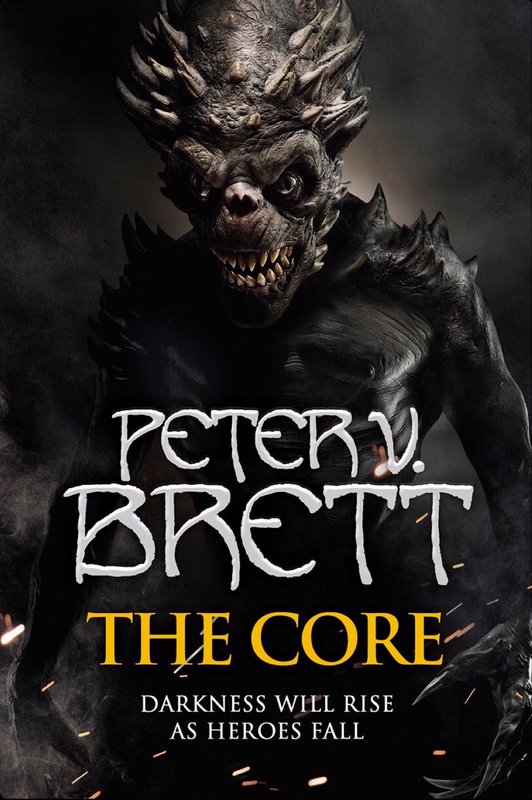 The Core brings a triumphant end to a spectacular series. Click here to read our full review. 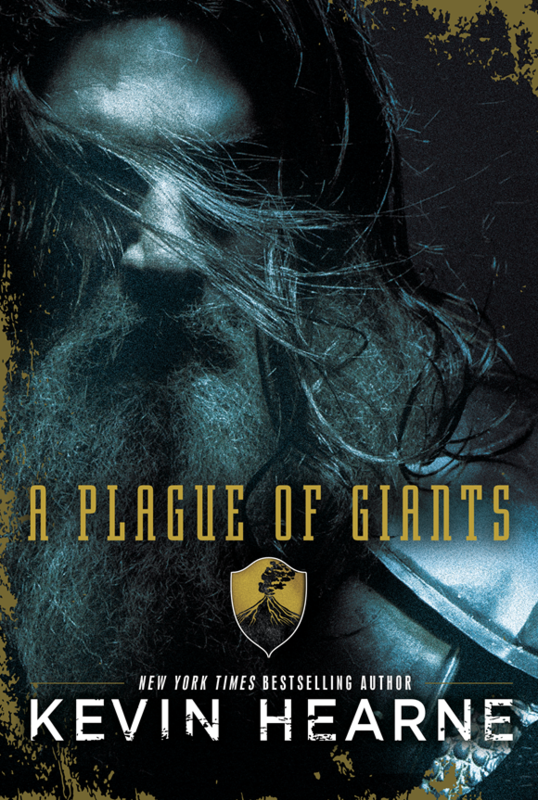 A Plague of Giants by Kevin Hearne is out today in hardcover, digital and audiobook formats. Tallynd is a soldier who has already survived her toughest battle: losing her husband. But now she finds herself on the front lines of an invasion of giants, intent on wiping out the entire kingdom, including Tallynd’s two sons—all that she has left. The stakes have never been higher. If Tallynd fails, her boys may never become men. Dervan is an historian who longs for a simple, quiet life. But he’s drawn into intrigue when he’s hired to record the tales of a mysterious bard who may be a spy or even an assassin for a rival kingdom. As the bard shares his fantastical stories, Dervan makes a shocking discovery: He may have a connection to the tales, one that will bring his own secrets to light. Abhi’s family have always been hunters, but Abhi wants to choose a different life for himself. Embarking on a journey of self-discovery, Abhi soon learns that his destiny is far greater than he imagined: a powerful new magic thrust upon him may hold the key to defeating the giants once and for all—if it doesn’t destroy him first. Click here to check out the official product page for excerpts and purchase links. 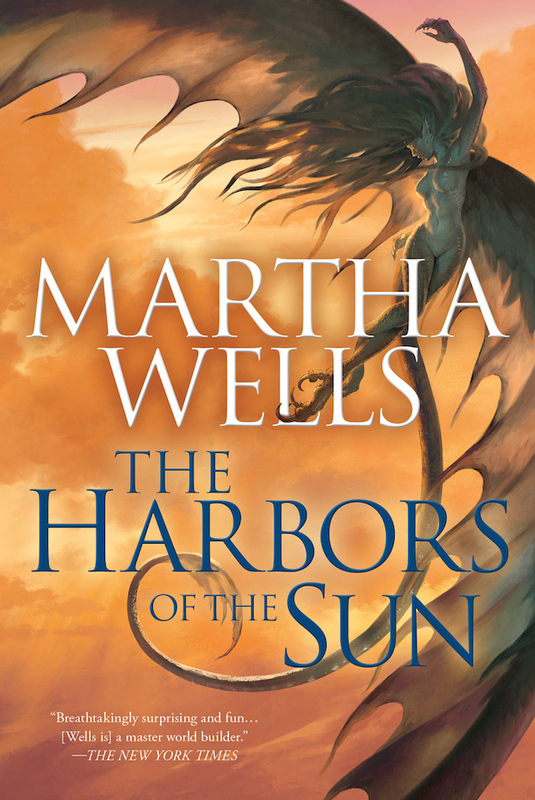 The Harbors of the Sun marks the final book in the Raksura series, and thankfully this one ends on a good note. Click here to read our full review. Lost Stars by Claudia Gray is now out in paperback. Urban Enemies came out this week and features short stories by several authors including Kevin Hearne. Also out this week is The Dark Tower: The Art of the Film by Daniel Wallace. 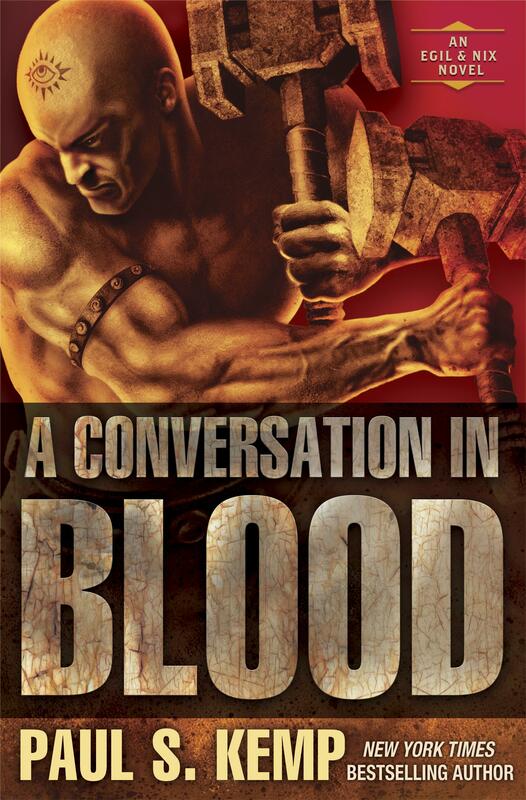 A Conversation in Blood by Paul S. Kemp came out in mass market paperback this week. John Jackson Miller will be contributing a story for the upcoming fantasy anthology Kingdoms Fall which will be out next year from Cohesion Press. The anthology will also include stories by Kevin J. Anderson and David Farland (aka Dave Wolverton). Marvel.com has an interview with Kieron Gillen covering his upcoming transition to the main Star Wars line. CBR has an interview with Kelly Thompson covering the upcoming Captain Phasma comic. Graphic Policy has a preview of Doctor Aphra #11. StarWars.com has released a new except for Aftermath: Empire’s End by Chuck Wendig which will be out February 21st and will concluded the Aftermath trilogy. Del Rey’s Star Wars Facebook page teased a picture that seems to indicate the new Thrawn novel will have blue page edging. Pretty cool. A Conversation in Blood by Paul S. Kemp is out today in hardcover, digital and audiobook formats. This is the third book in the Tales of Egil and Nix series, but it’s also a good jumping in point for new readers. Click here to read our full review. Nix is a nimble thief with just enough knowledge of magic to get into serious trouble. Egil is the only priest of a discredited god. Together, they seek riches and renown, but somehow it is always misadventure and mayhem that find them—even in the dive bar they call home. And their luck has yet to change. All Nix wants to do is cheer Egil up after a bout of heartbreak. And, of course, strike it so rich that they need never worry about their combined bar bill. But when the light-fingered scoundrel plunders a tomb and snatches mysterious golden plates covered in runes, the treasure brings terrifying trouble. Pursued by an abomination full of ravenous hunger and unquenchable wrath, Egil and Nix find all they hold dear—including their beloved tavern—in dire peril. To say nothing of the world itself. 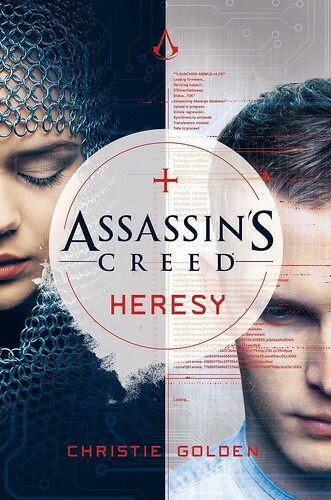 Assassin’s Creed: Heresy by Christie Golden is out today in hardcover, paperback and digital formats. This premium hardcover edition features exclusive art sketches and behind the scenes interviews, as well as a special code to unlock Assassin’s Creed rewards through Ubisoft Club’s loyalty program. Author Kevin J. Anderson was very active at MidAmeriCon II splitting duties between numerous panels as well as manning his WordFire booth on the con floor and signing autographs for fans. While there we caught up with Kevin and managed to snag a few moments for an interview. We talk with him about his series Dan Shamble, Zombie P.I., his Terra Incognita series, and his upcoming books Eternity’s Mind and Navigators of Dune.